Who am I? Well, I am nobody special. I am just a guy from St. Louis, Missouri, who through years of camping more and more has realized that I have a distinct and genuine connection to the outdoors around us. I am not a professional or an expert by any traditional or institutional standards. I’m just a guy who enjoys spending time in the woods, and who tries to soak up as much information about living outdoors as I can. The purpose here is to share my knowledge and experiences of spending time in Missouri forests with you. I encourage you to share your insights and experiences as well. The forest is a sacred place. Living in it is the oldest human pastime. Let’s head to the woods. And in case you like some of the stuff here, do me a favor and follow my blog or “like” my Facebook page so that I can continue to share the Missouri outdoors with you. And for the record, I am not affiliated with any campground or outdoor organization. I do all this in my free time as a creative hobby because I want to promote a love of the forest in anyone who is willing to listen or read. Thank YOU, personally, for checking it out. And if you would like to contact me directly, you can email me at campingmissouri@yahoo.com Let me know where YOUR favorite places to visit in Missouri are, or share your thoughts and ideas. The knowledge and inspiration to go see what is out there comes from YOU, the people who have been there! Additionally, if you enjoy my writing and want to read some of my stories beyond the forest, check out my other, more personal blog, here. You sound like me! thanks for the like and the follow, I’m doing the same on you, we can trade “secrets”! Thanks! Good to know that I’m not the only one! Hey Gabriel, would you be interested in guest posting on my site – backpackcamper.com? Love to have you share some of your knowledge. That sounds like a cool idea! Do you have anything in mind…like a category or area that you would like it to be about? Let me know your thoughts, and then give me a bit of time. Thanks for the offer! In the interest of NOT getting any spam by posting my email on here (I really know SO little about all this stuff), let me know if you can find it on this site and we can communicate that way if it’s easier. You can email me @ info@backpackcamper.com and we can discuss. Looking forward to it. BTW, I was born in Kirksville, MO … a real live Show Me baby. Haha! Hi! I just found your website (about 2 minutes ago) and was wondering if you might have a list of campsites for Missouri somewhere? I heard that some conservation areas allow and camping and some do not. The same for National Forests. Can you clear this up for me? Thanks! Hey Elizabeth! I haven’t compiled a list, but in some of my posts I have included links to the sites of various organizations in Missouri that have campgrounds. Here is the one to the Missouri State Park system http://mostateparks.com/activity/camping. 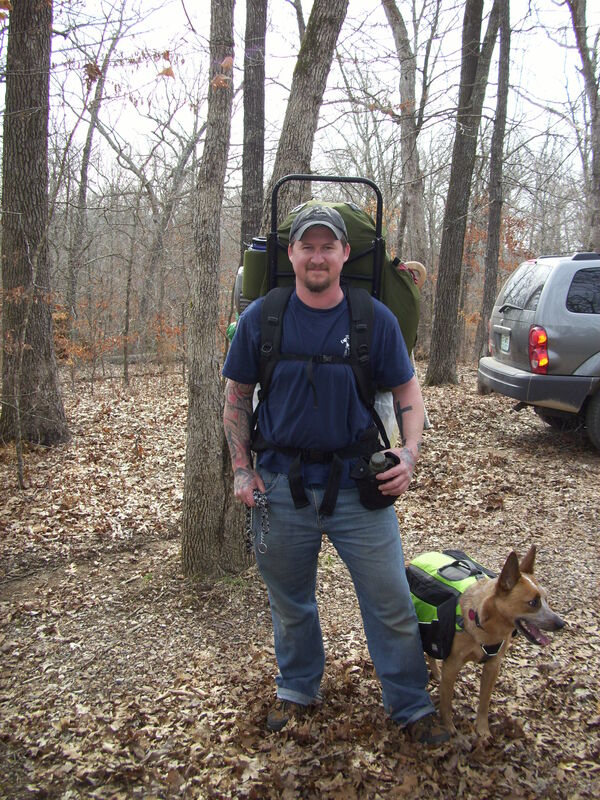 And here is the link to the Missouri Department of Conservation atlas, where you can search their map to find places within specific counties, or search for camping spots under “Detailed Search” http://mdc4.mdc.mo.gov/applications/moatlas/AreaList.aspx?txtAreaNm=&txtCounty=&txtRegion=&txtUserID=guest&txtDivision=. And this is the link for the Mark Twain National Forest camping http://www.fs.usda.gov/activity/mtnf/recreation/camping-cabins. That should get you started! What area of the state are you in, or looking to camp in? Thank you!!! I’m not looking in any particular parts; I live about 20 minutes outside Mark Twain National Forest and there probably 4 Conservation Areas within a 5 mile radius of me and I LOVE to camp and feel that it just isn’t the same at a campground. I want my kids to experience camping without the amenities that afforded to us. I want them to experience the “real thing.” I hope I’m not offending anyone, because I do love a good campground, also, but sometimes, you just have to “get away” from society. So anywhere and everywhere that I can find this solitude, that is where I am looking. log home that was situated across the road at the base of Mill Mountain. The dam was damaged by a log jam during a severe thunderstorm in the early 60s and AC electrical was brought in by Howell-Oregon Electrical CoOp. The farmhouse was burned down in the early 70s by unknown arsonists As an older child and as a teenager I helped run the “powerhouse”(as we called it) when spending time there during summer break from school. My grandparents found that farm to be their refuge from urban life in St. Louis where my grandfather owned a small business at 9th and Pine downtown. His name was Arthur C. Brandt. His wife was Emma Brandt. Wow, Marie! Thank you for sharing! It sounds as though you had very fortunate summer breaks, to be able to spend them in such a beautiful place. It is a shame that the farmhouse was burned down, and I can totally identify with your grandparents escaping from the city to spend time there. It really is a very special place, and I look forward to visiting it again. Thank you again for sharing your story. If I may ask, do you visit there anymore?